17 May 1943: Keel laid by the Consolidated Steel Corp., Ltd., Orange, Tex. 19 May 1961: Sold for scrapping to the North American Smelting Co., Wilmington. Del. 34k Richard Alexander Haines was born in Haines Falls, N.Y. on 28 April 1903. 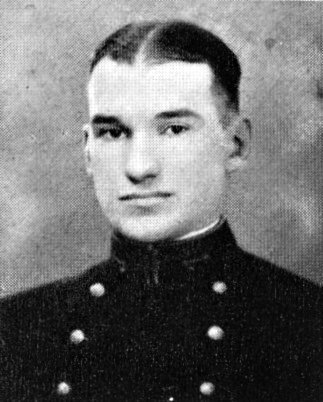 He attended the Tennessee Military Institute from 1921 to 1923, and also attended the Naval Academy for a time, before serving 3 years in the Coast Guard (1928-1931). Commissioned Lieutenant in the Naval Reserve on 23 July 1941, Haines served in USS Washington, after which he was assigned to the cruiser New Orleans. When New Orleans suffered a devastating torpedo hit in the Battle of Tassafaronga on 30 November 1942, Lieutenant Haines remained at his station to assist in controlling the damage until overcome by asphyxiating gas generated by the explosion. In the true tradition of the Navy he had given his life to save his shipmates, and he was posthumously awarded the Navy Cross for his heroism. 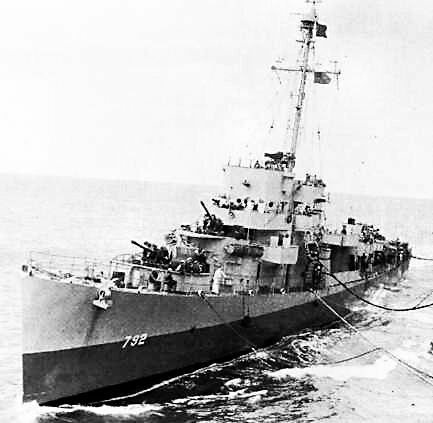 USS Haines (DE 792) (1943-1946) was the first ship to be named in his honor.